A longbow whose beautiful hues come from dyes made from the gromwell plant. 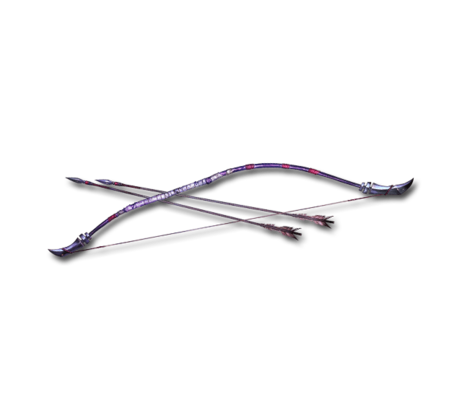 A red bowstring completes this enchanting weapon, allowing the shooter to draw their desires one step closer. Expect the unexpected, for fate is destiny. Hell-Raiser Big Dark damage to a foe. This page was last modified on 30 November 2018, at 22:48.